Actually, I expect a really long queue line in front of the restaurant. But because of the bad weather, the queue line wasn't that long and I got my table just in 10 minutes (quite fast!). The waiter quickly showed us the table and also the Menu. If you want to see how much is the food's price, please visit their website here. I was super super excited and happy, haha my sister also! 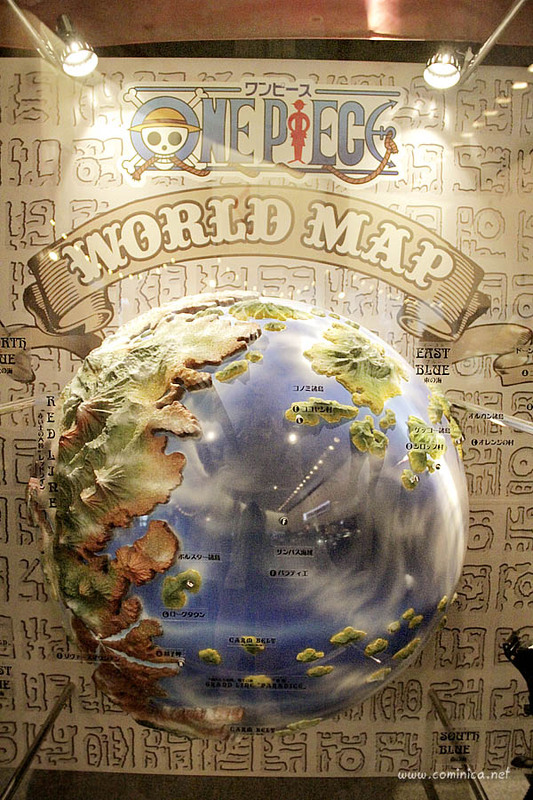 We were amazed by the interior of this restaurant, it's super unreal and well done! 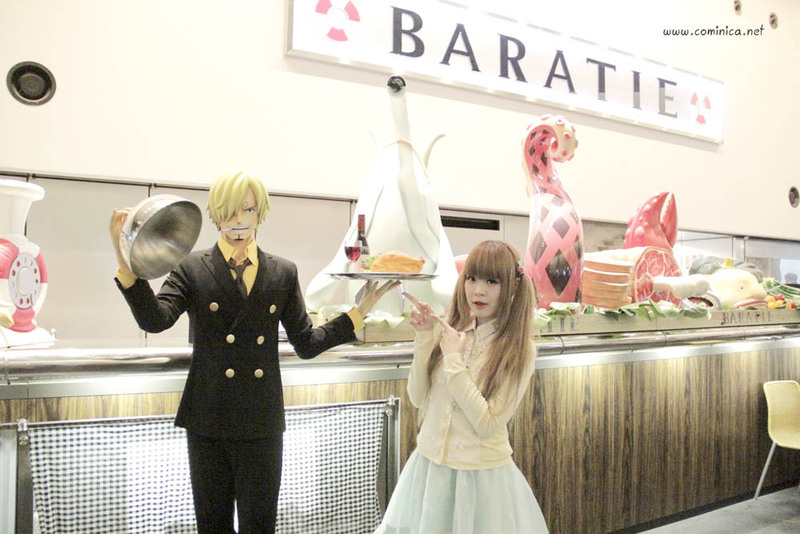 I'm sure even if you're not One Piece fan (like my bro) you'll love this place too <3. I ordered one of their ala carte menu and a dessert. All of the foods look so nice haha it just I already have my breakfast in Harajuku before, so I still feel full at that time. 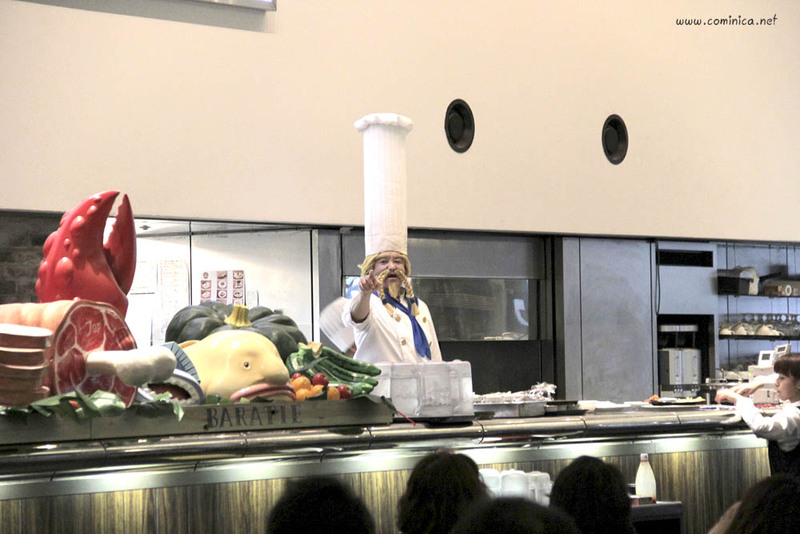 Chef Zeff, the owner of Baratie! 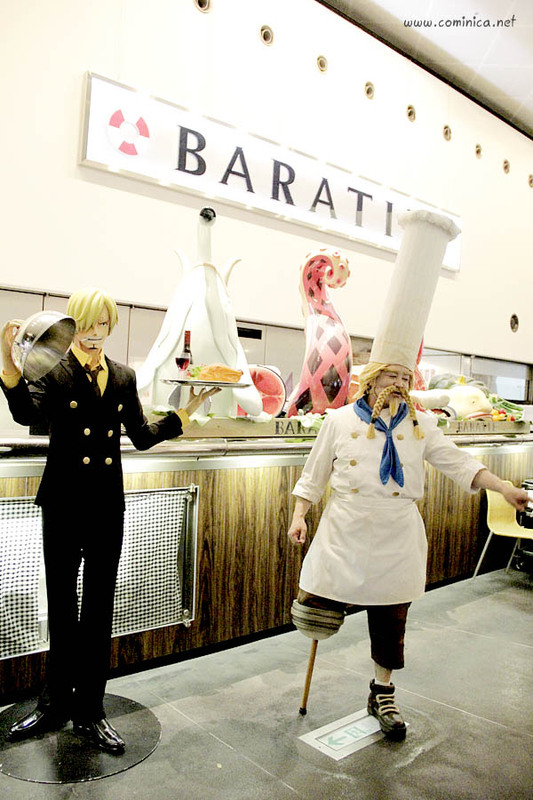 Oh my handsome Chef Sanji! 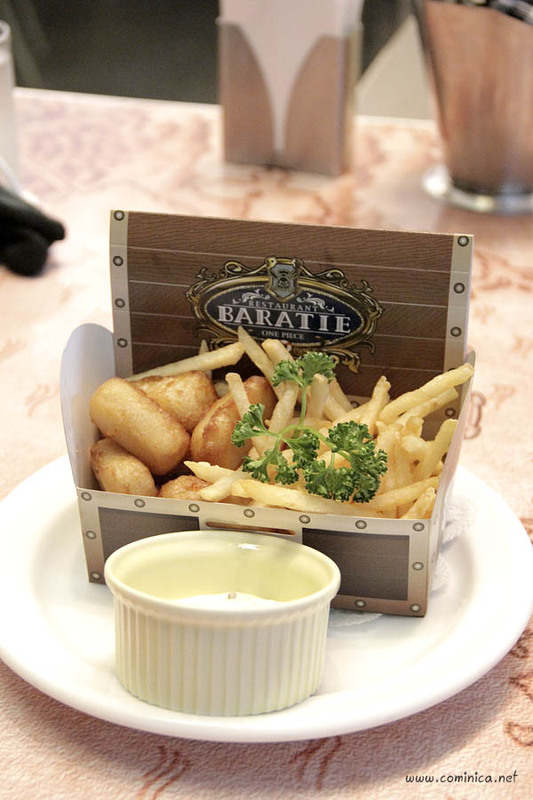 A Pirate Treasure, contains nuggets and chips. I swear the dipping is seriously good. 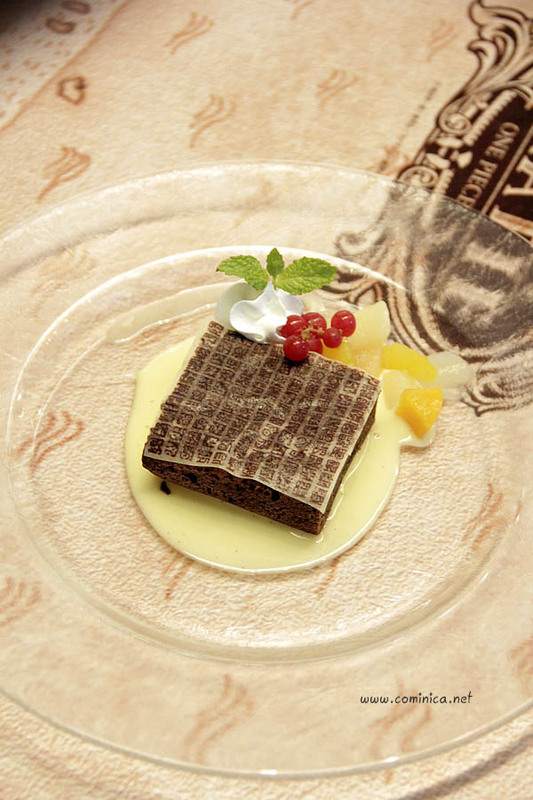 A secret code Brownie (my sister ordered this), the brownie is so soft and not too sweet. Baratie Parfait! Mine (º﹃º)ෆ⃛ೄ, hahaha. This is also very nicee, the fruits are fresh and the mochi is chewy and soft. 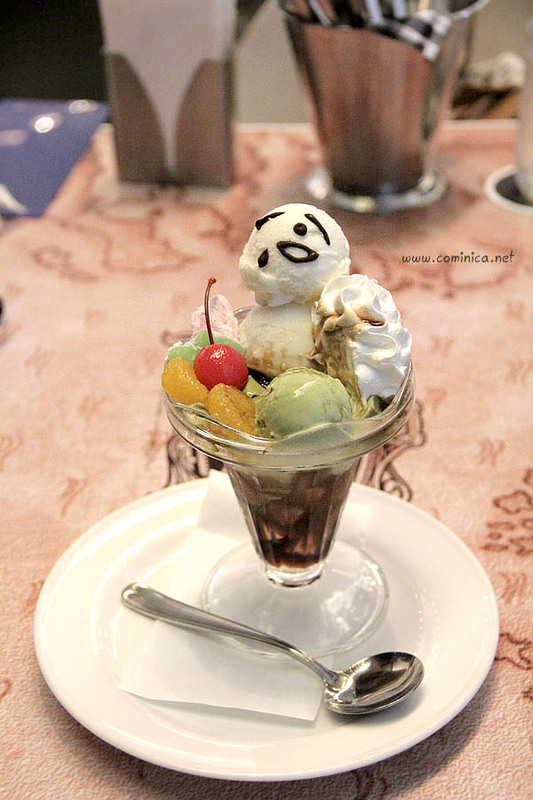 The ice cream also taste good, not too sweet and not too creamy. A must try! After eating, I walked around and took some photos again. lol everyone was so happy when Chef Zeff is walking and talking with us. It feels like in real Baratie. Chef Zeff, look at his leg! 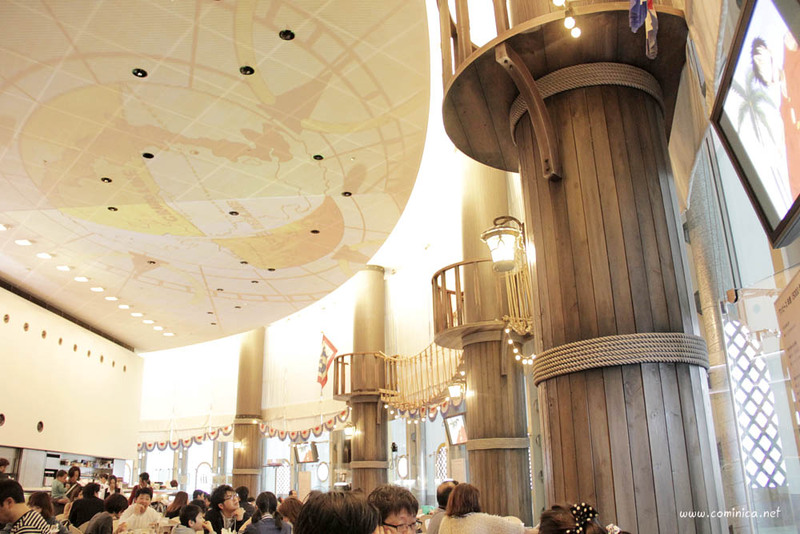 If you're planning to visit this restaurant, I suggest to prepare your budget at least 1000 yen (minimum) for the foods. I think there's no minimum order in this Cafe so maybe you can share with your friends. Honestly I think the price is not that expensive because the foods are nice there. 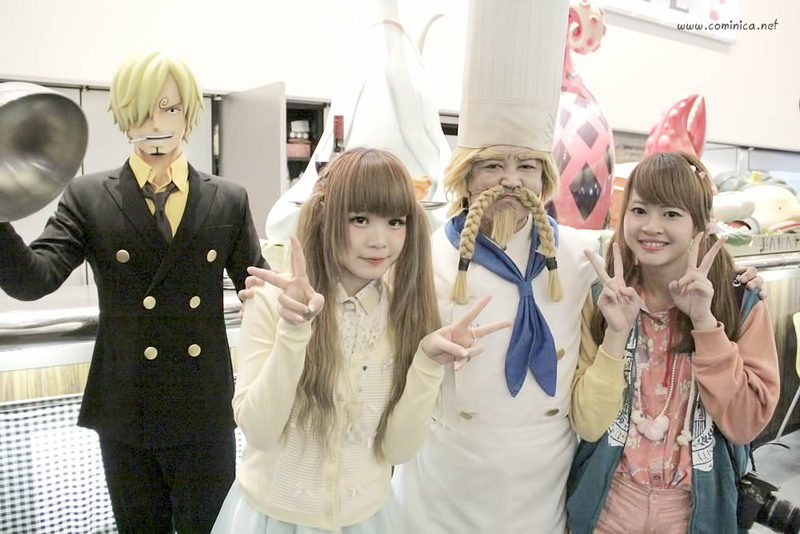 (compared to a maid cafe) LOL. 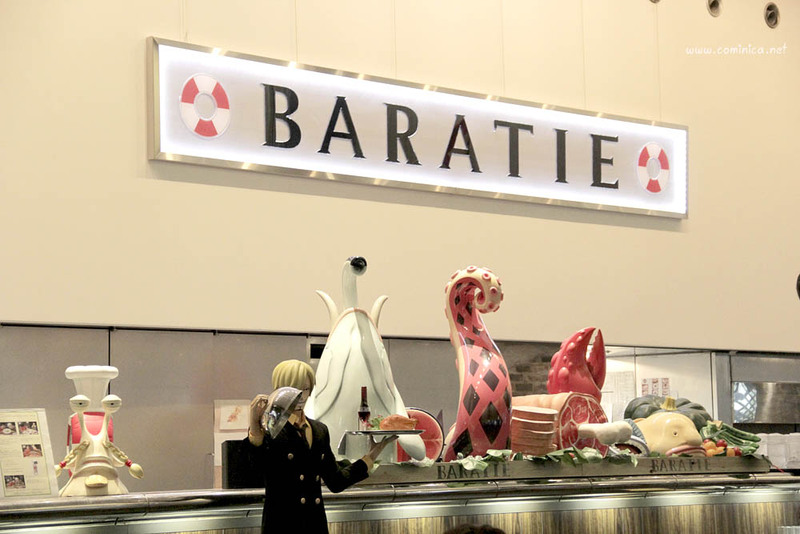 Baratie is located in the roof top of Fuji Tv's main building in Odaiba, it's a little bit difficult to find for the first time. 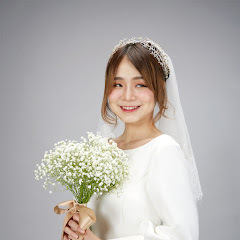 But don't worry, kindly ask some people there and just say Baratie or Fuji Tv. haha (that's what I did) see ya! wooow so cool *-* I would like to be there! 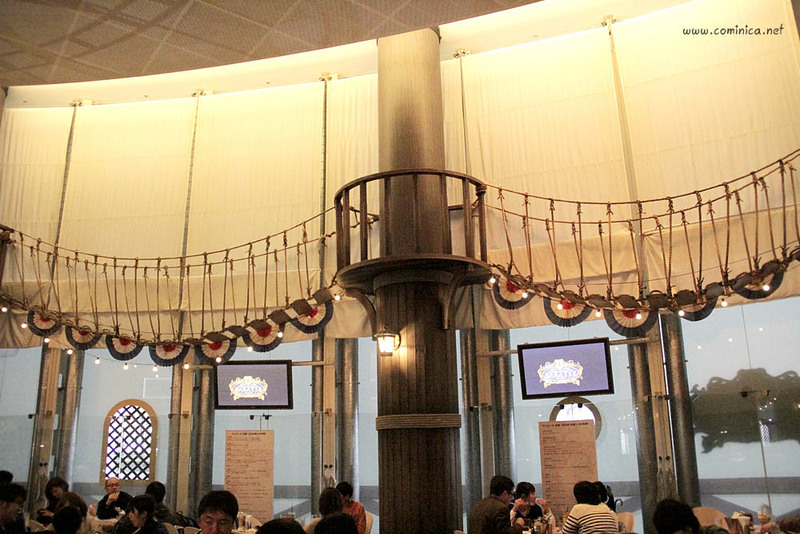 the decoration of the cafe is really cool and the food looks so cute !! im drooling! should NOT read food posts late at night. LOL. looks like you had an amazing time. waaaaaaaaa,,,,, BARATIE!!!! 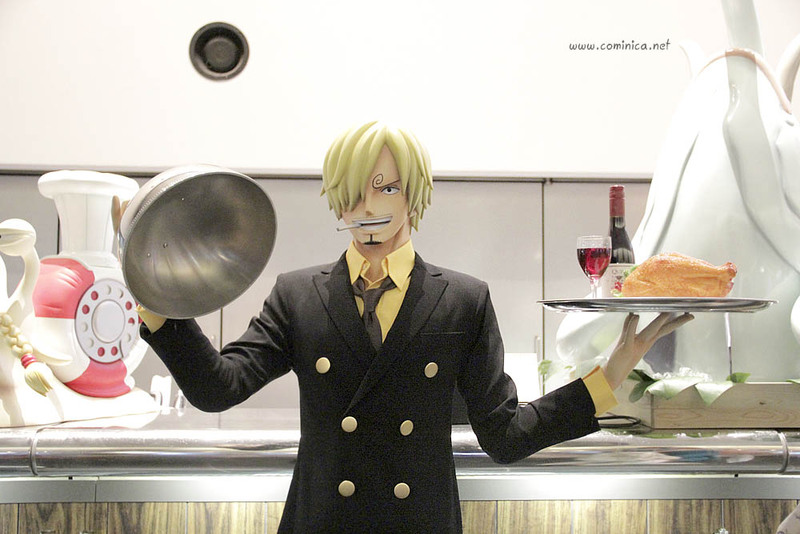 say hello to Sanji from me!!! I want to go here too! Such a nice theme + good looking food! someday i want to be there! Cominica is a Beauty and Fashion blogger who loves to share her experience about Beauty, Fashion, Lifestyle and Travel. Currently living in Birmingham. 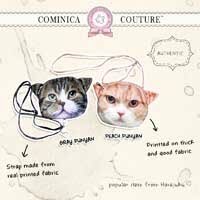 This site is owned by Cominica, please don't steal and put credits if you share it. Powered by Blogger.